The traditional ruler of Ogbozine Akpugo, in Nkanu West Local Government Area of Enugu State;Igwe Nwatu,was attacked yesterday,allegedly by his subjects. Igwe Nwatu died at the Parklane hospital at 9pm yesterday,as a result of the attack. Report has it that the members of the community suffered high handedness from the monarch,unreasonable levies,and arrest of persons who are not on the same side with the monarch. If leaders know the precarious position they are in,they will strive to improve the quality of life for their people. MONARCHS,any one in position of OFFICE is revered,and has a duty to relate cordially to the PEOPLE they lead. The above notwithstanding,a life is taken albeit gruesomely...his actions and inactions as a traditional ruler are minute in comparison to his death. The problems the community had with the monarch has solutions,but there is no solution to death. Characterized by careful scrutiny and close examination of the above information,I am comfortable positing that the action of his assailants,far outweighs the actions of the monarch. May the dead see light,and his loved ones find solace in God. There is no justification for jungle justice. People have repeatedly argued that the system cannot be trusted to allow justice prevail. 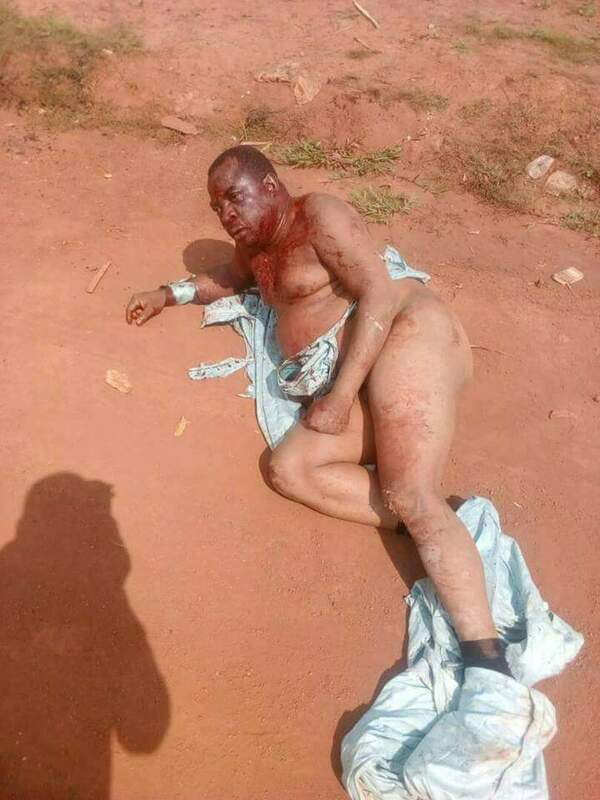 The day you find that you are yourself,on the verge of being lynched,the day you are caught in a mob action,perhaps for an offence you did not commit,you will wish you headed the crusade to end jungle justice. The alternative to bypassing the systematic approach to punitive measures on offenders,is tantamount to opening widely a floodgate of senseless killings of both innocent people and criminals...ALUU AS CASE STUDY. Those who think :"this cannot happen to me,i have security details,i am a world wrestler..."
Report has it that Igwe Nwatu had security details attached to him at the time of this incident. Conclusively,save and except,we collectively stand against jungle justice,we cannot help but wonder "WHO IS NEXT?"